Whenever people ask me what Lao food’s like, I usually have no idea how to respond. While it’s probably most similar to Thai cuisine, there are just so many dishes that are unique to Laos that I don’t think I could list them all! 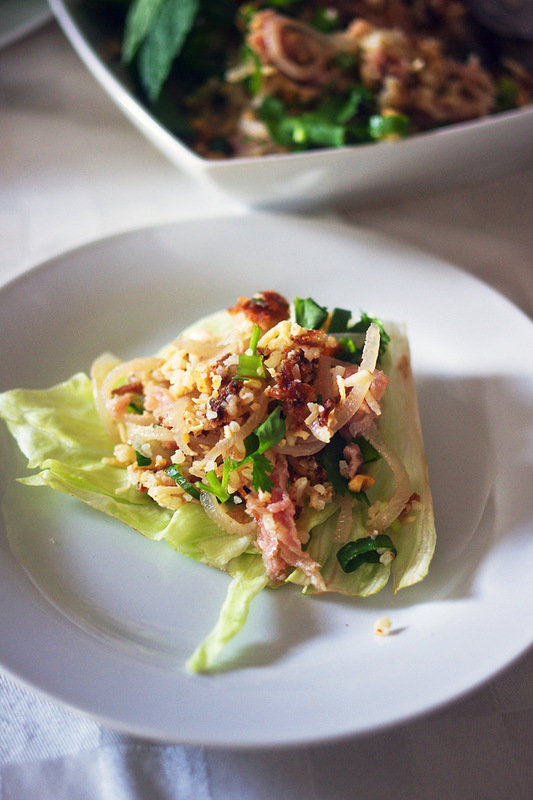 One of those things is nam khao, or crispy rice salad. If you ask me, it really embodies ingredients that are common in Lao food, like fresh veggies, fermented meat and chilli (if you can handle it). Anyway, this isn’t like any old fried rice. The rice and pork mixture’s literally deep fried and broken up to make a ‘salad’, so there’s little wonder as to why I love it. 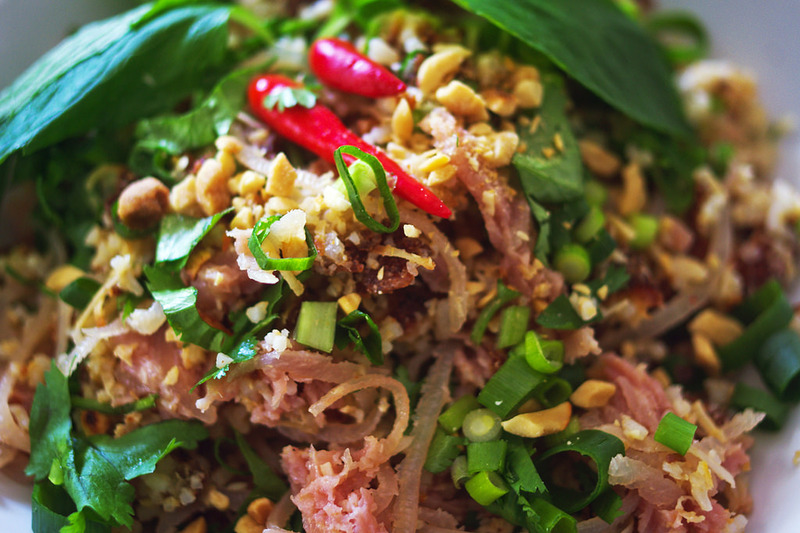 If you’re interested in learning how to make this quintessential Lao dish, keep reading! 1. Soak the coconut in a bowl of water. After about an hour, remove and drain it. 2. Mix in the coconut with the rice, pork mince, tumeric and curry until well-combined. Try to break up the rice if it’s stuck together in large pieces, but avoid making the chunks too small either. 3. Season with salt, sugar and fish sauce, then break in the eggs and combine altogether. 5. 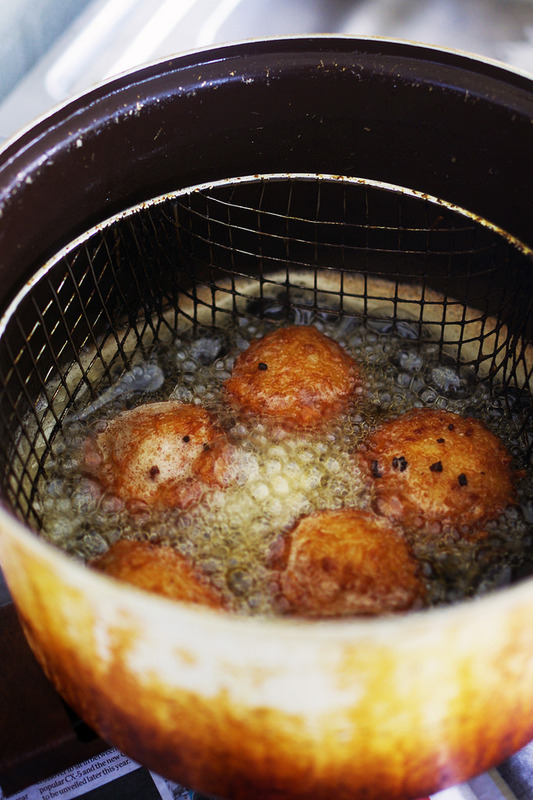 Take about a fistful of the rice mixture and roll into balls. Deep fry them in oil at about 180 degrees until they are golden brown. 6. 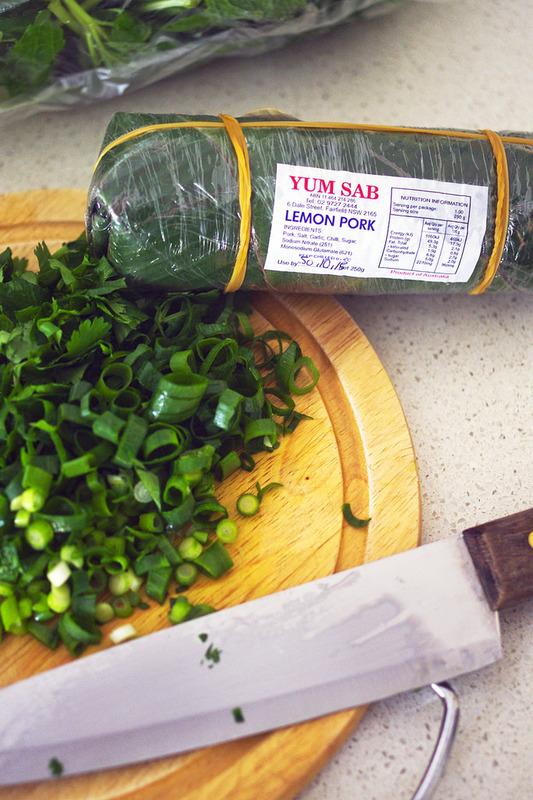 Break up the som moo (fermented pork) into small chunks, then generously sprinkle it with lemon. Then, after the rice balls have cooled, begin breaking them up over the pork in chunks. 7. 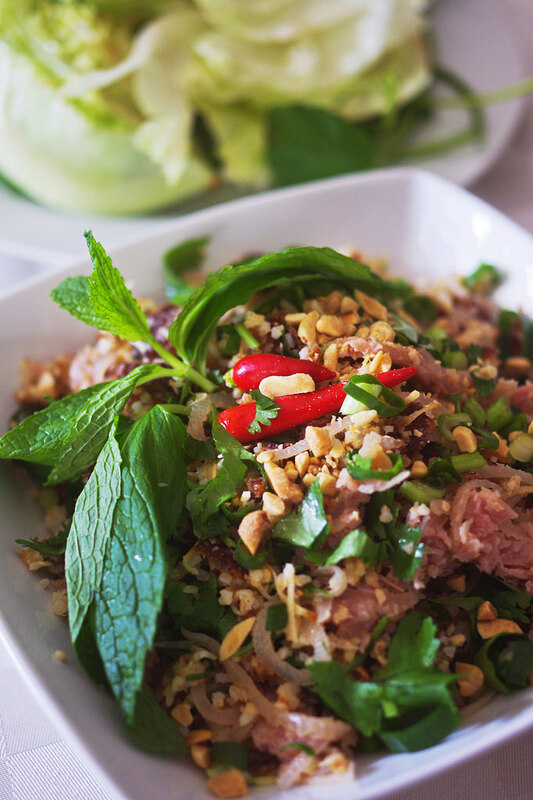 Taste the rice salad, then add fish sauce to taste. Garnish with chopped green onion, coriander and chilli if you prefer. Serve on its own or in lettuce cups. Fermented pork can be bought from specialty stores and Asian supermarkets. However, if you can’t get your hands on it don’t fret! You can use ham, even though it’s not exactly the same thing. If you don’t have any leftover jasmine rice, cook it with a little less water than you would usually so that it’s drier. Whatever you do, don’t use rice that’s too fresh as it’ll make the mixture sloshy. Keep in mind that when you add the herbs at the end, the flavour will become less intense. So ideally, when you taste the rice mixture before then it should be slightly too salty. There you have it! The contrasting elements in this dish really makes it feel like a party in your mouth, but honestly? When I’m cooking it with my mum I’ll often sneak in a rice ball (or five) because they’re just that tasty. 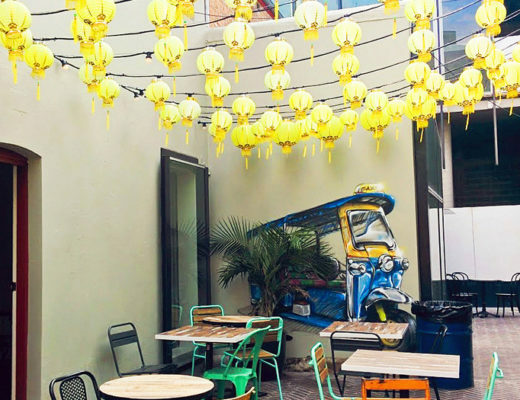 Even if you don’t make it, definitely try out nam khao if you find yourself in a Lao restaurant! You won’t be disappointed.